This inflatable combo rental has a little bit of everything. 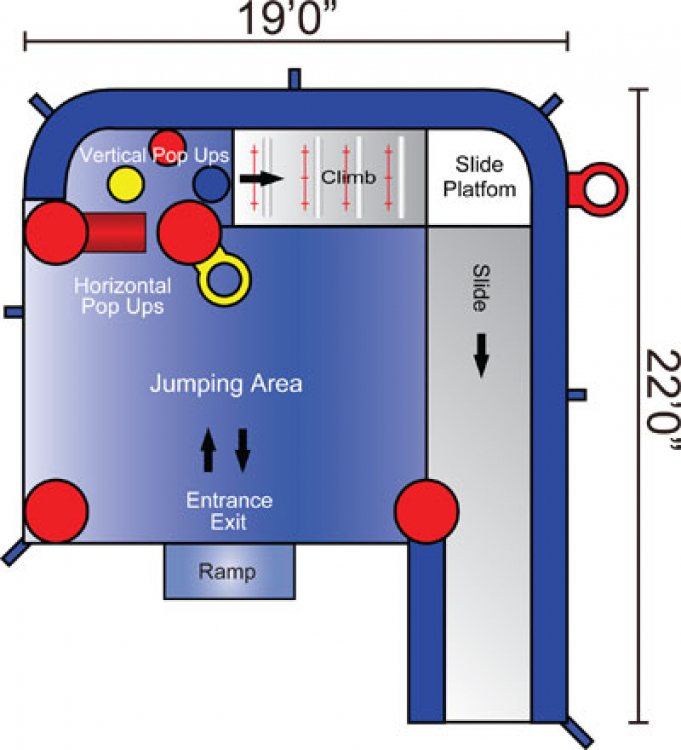 It includes a jumping area, basketball hoops, obstacles and a slide. This rental is great for your next party or event!